We review some classical and quantum geometry of Calabi-Yau moduli related to B-model aspects of closed string mirror symmetry. This note comes out of the author’s lectures in the workshop “B-model aspects of Gromov-Witten theory” held at University of Michigan in 2013. 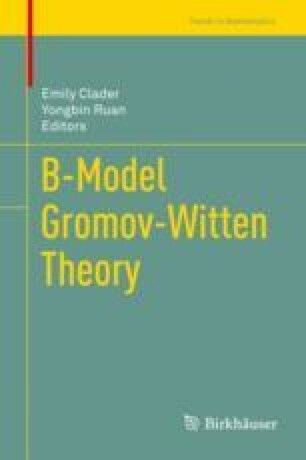 The authors would like to thank the organizers and participants of the workshop on B-model aspects of Gromov-Witten theory, and the hospitality of the mathematics department at University of Michigan.